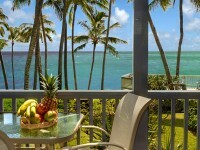 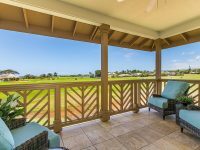 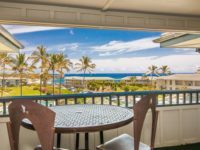 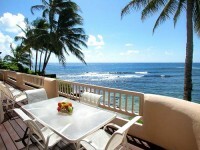 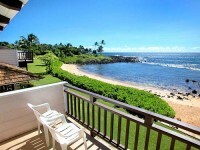 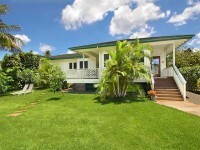 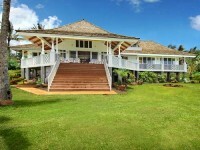 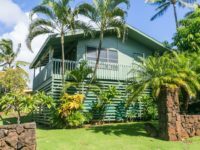 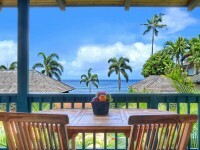 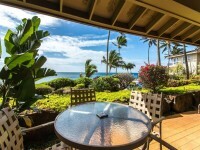 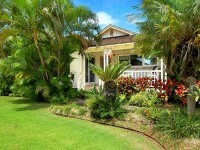 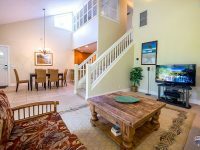 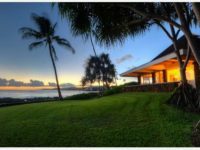 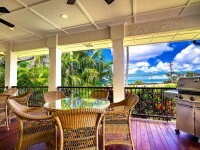 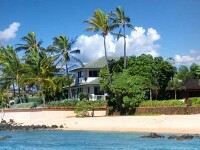 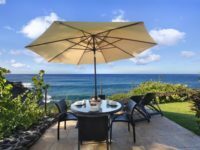 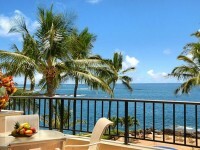 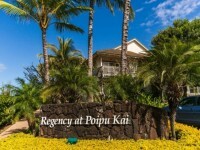 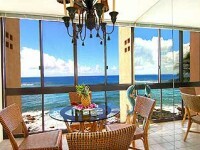 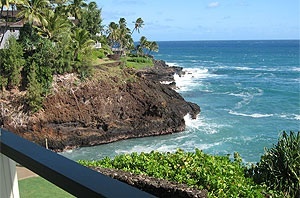 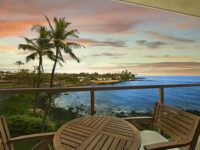 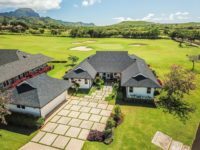 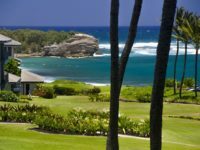 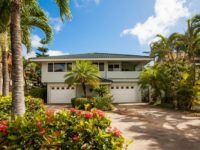 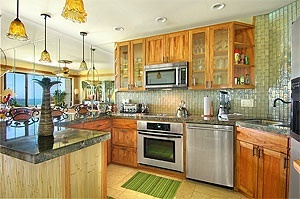 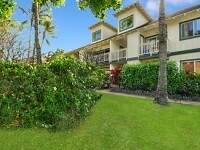 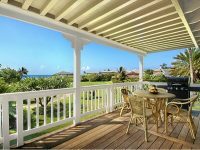 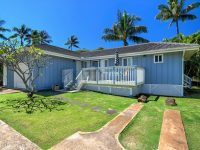 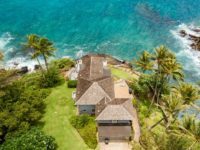 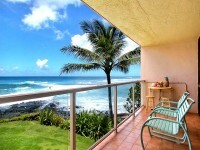 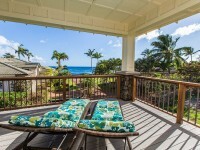 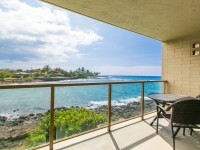 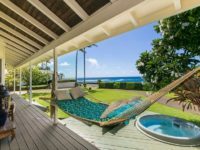 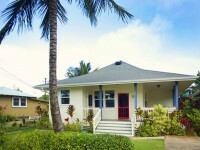 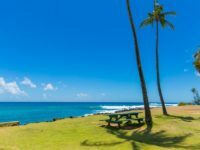 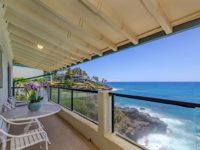 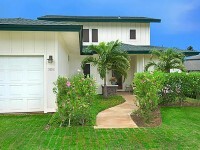 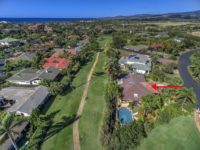 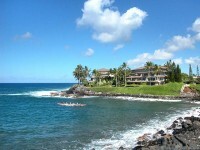 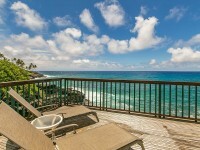 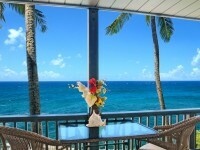 POIPU, KAUAI VACATION RENTAL: This Premier Oceanfront two-bedroom, 3 bath condo at Poipu Shores is situated on a sea cliff and is about as close to the ocean as you can get on Kauai! 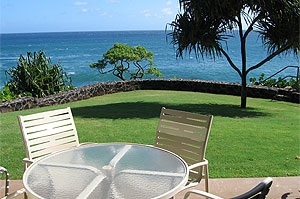 So close to the ocean, it affords spectacular views of whales from December through March. 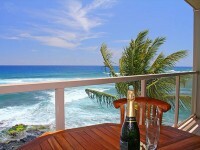 as well as incredible views of sea turtles. 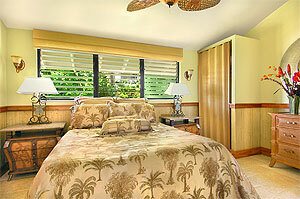 This deluxe unit was professionally decorated for maximum tropical enjoyment. 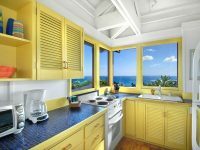 The kitchen and bathrooms are all granite and include a washer and dryer, as well as many of the comforts you’d find at home. 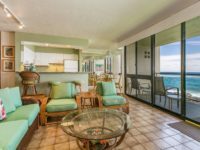 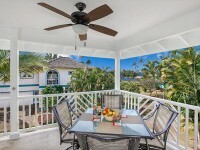 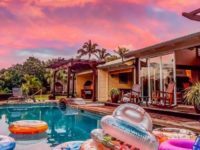 Fully furnished complete with private oceanfront lanai, deluxe living area, dining area, full kitchen, with brand new fixtures and furniture. 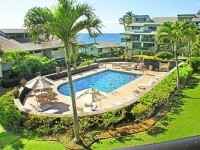 The pool overlooks the ocean. 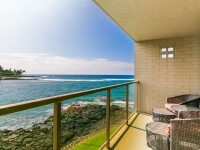 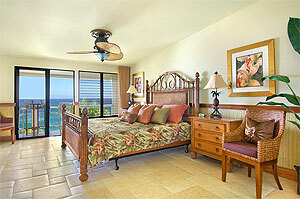 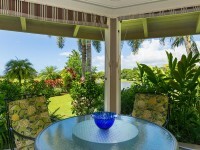 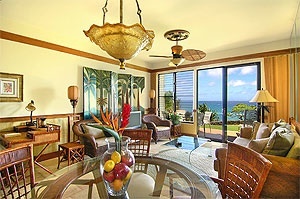 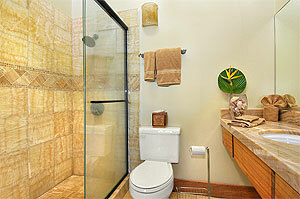 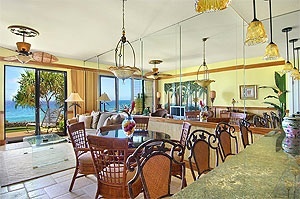 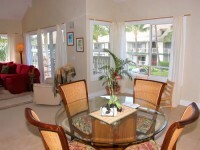 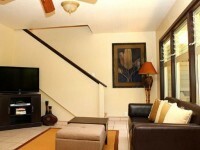 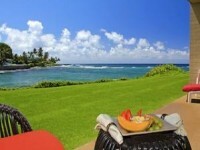 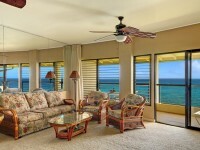 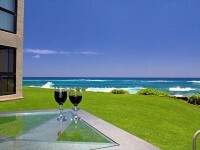 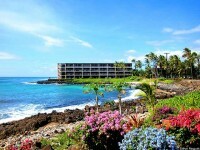 Poipu Shores #104C is truly one of the premier condo units on the South side of the island. 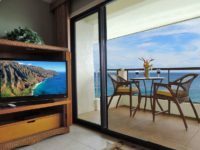 Tailor made for special occasions as well as for those who just want to get away and stay in 5-Star accommodations!